14" drawer slides are commonly used in closet organizers, but have many other applications. OVIS offers both full extension and partial extension in this length. 14" is also popular for keyboard drawer applications. 15 Variations available. OVIS offers a wide selection of 14” drawer slides. With 15 different models to choose from at competitive prices, you’re sure to find a drawer slide that fits your project. Fourteen-inch drawer slides are a popular choice for keyboard drawers, pull-out cutting boards, and many other retractable, secure surfaces. 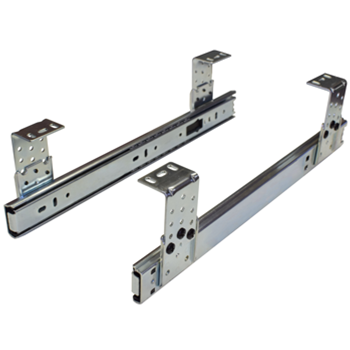 Most of our drawer slides hold up to 100 pounds, with some models exceeding the capacity for 500 pounds! Both full and partial extension options are available. Many of our models feature cushioned in-and-out stops as well as positive hold-in detent for the ultimate smooth and quiet sliding experience. We also offer stainless steel models, which are the optimal choice for damp, corrosive environments. OVIS only carries top industry manufacturers like Hettich, Hawthorne & Reid, Sugatsune, and Fulterer to ensure top quality installations. Hobbyist and professional woodworkers alike will benefit from years of quality drawer slide performance. The Fulterer FR 1921 350mm/14" Epoxy Coated Roller Parital Extension Drawer Slides are ideal for kitchen cabinets, furniture and other woodworking projects. 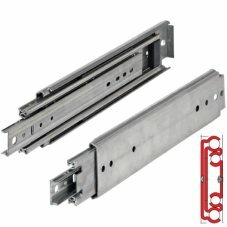 14" Drawer Slides, Full Extension, Zinc, 100 lb. 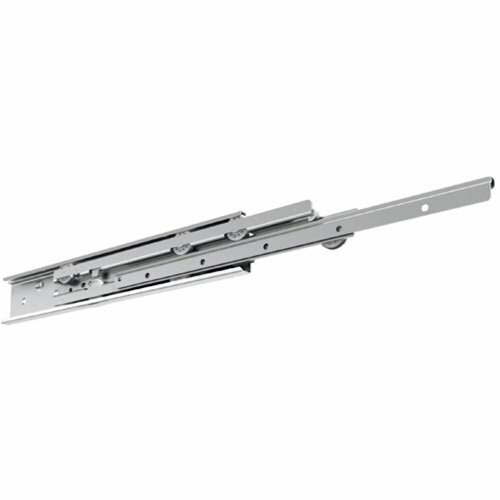 14" Drawer Slides, Partial Extension, Bottom Mount, 100 lb. 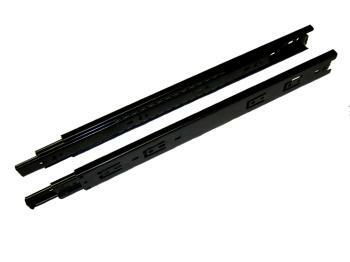 14 inch, 3/4 Extension Keyboard Tray Slides, Black. Create your own custom keyboard tray with these all metal, ball bearing keyboard slides. Mounts under your desk to your platform. Six position height adjustment from 2" to 3-3/4". In and Out locking detent to hold keyboard in the out or the in position. If you're looking for a keyboard slide for a custom desk, or you are replacing a worn out keyboard slide on an old desk, this one is easy to install, and has flexibility in the mounting height. 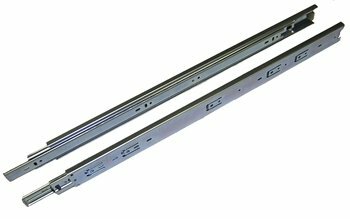 The HR2045 Industrial Series ball bearing 14" drawer slides are a telescopic precision full extension slide with cushioned in and out stops and positive hold-in detent. Made of zinc plated steel with precision ball bearings, The HR2045 delivers smooth action and high lateral stability. The HR45 ball bearing slide is a telescopic precision full extension slide with cushioned in and out stops and positive hold-in detent. Satin black coated steel with precision ball bearings, The HR45 delivers smooth action and high lateral stability. 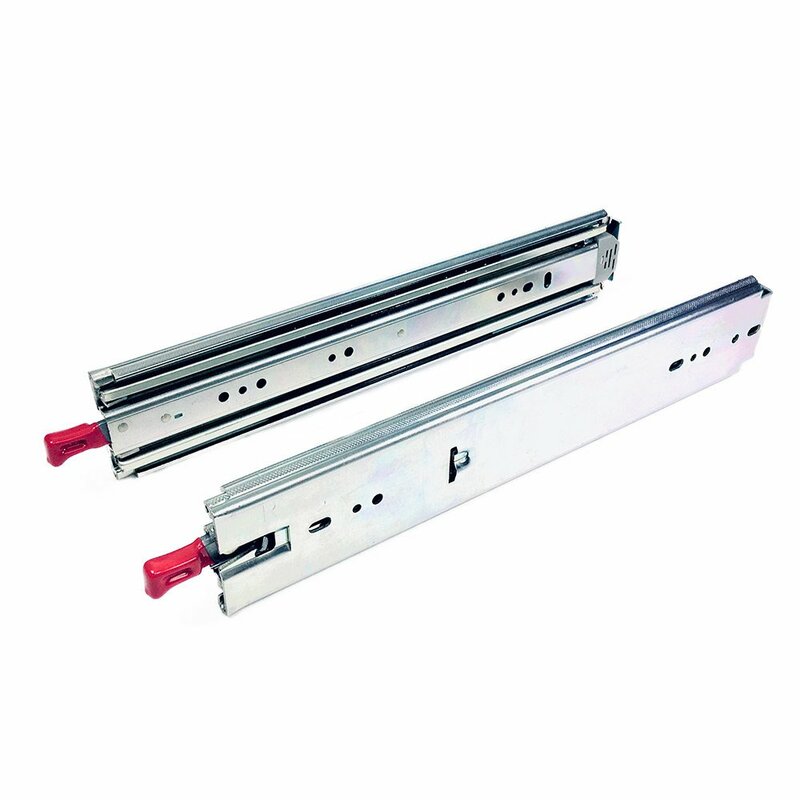 14" Drawer Slides, Full Extension, Zinc, 75 lb. The HR2036 ball bearing slide is a telescopic precision full extension slide with cushioned in and out stops and positive hold-in detent. Made of zinc plated steel with precision ball bearings, The HR2036 provides smooth action and high lateral stability. 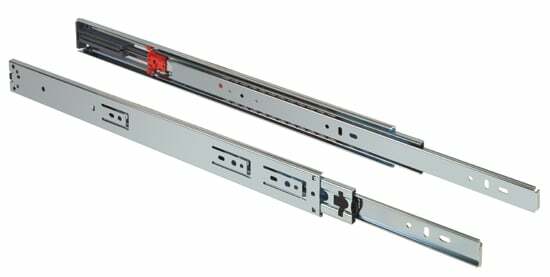 The HR2145 cabinet series ball bearing drawer slide is a telescopic precision full extension slide with cushioned in and out stops and positive hold-in detent. Made of zinc plated steel with precision ball bearings, The HR2145 provides smooth action and high lateral stability. The Sugatsune ESR-3813-14 is a 14 inch full extension stainless drawer slide. 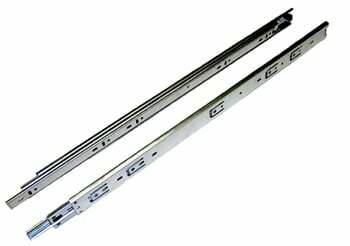 The 304 grade stainless drawer slides are ideal for use in damp, corrosive, coastal and marine applications such as boats, beach houses, laboratories, locker rooms, etc. 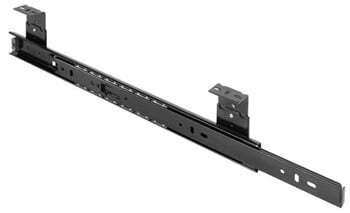 The Black Fulterer FR5060 14" height adjustable Keyboard slides are ideal for office furniture, home office and commercial applications where a high quality keyboard platform is needed. The Zinc Fulterer FR5060 14" height adjustable Keyboard slides are ideal for office furniture, home office and commercial applications where a high quality keyboard platform is needed. The Fulterer FR5001.ECD 14" soft close drawer slides are ideal for cabinetry, furniture and other woodworking projects. 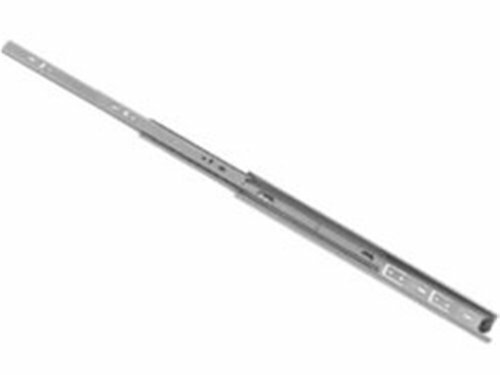 Fulterer FR 790.SCC 350 mm (14") is a stainless steel, NSF Certified drawer slide. The 286 lb. 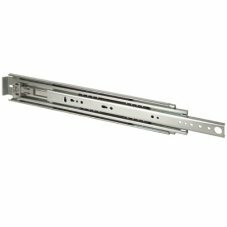 rated Fulterer FR5400, 12" Heavy Duty Drawer Slide is made of zinc plated, cold rolled steel and have a 3/4" installation width. They have stainless steel ball bearings and plastic ball spacers to reduce friction. This is a non-detachable slide.